The Linear 400 LT Kit is a stylish and modern system,suitable for new or existing gates. It requires mains power to operate, however it has a built-in transformer that reduces the power to the motors to 24 Volt,this enables the facility for battery back-up if required. 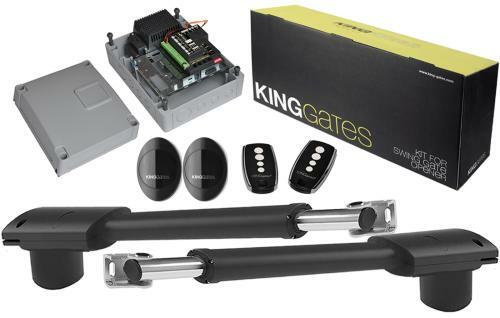 The maximum size gate the motor can move is 300 kg in weight and 2.5m in length per Gate leaf.The system is very easy to program due to its automatic program function. 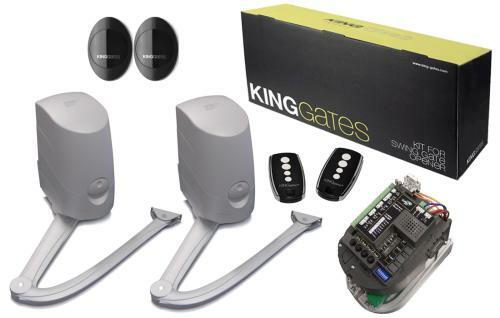 The Linear 400 boasts many innovative features, including a slow-down facility on opening and closing to prevent un-necessary noise, obstacle detection to ensure safety, secondary safety input for additional photo cells or safety edges, partial opening for pedestrian use, and The capacity for up to 200 remote controls.The kit consists of: two Linear motors; Control unit with built-in radio receiver and power supply which comes in an IP 54 rated box; two Stylo4 radio transmitters; one pair of Viky30 photo beams; two sets of mounting brackets and fixings for Linear motors. 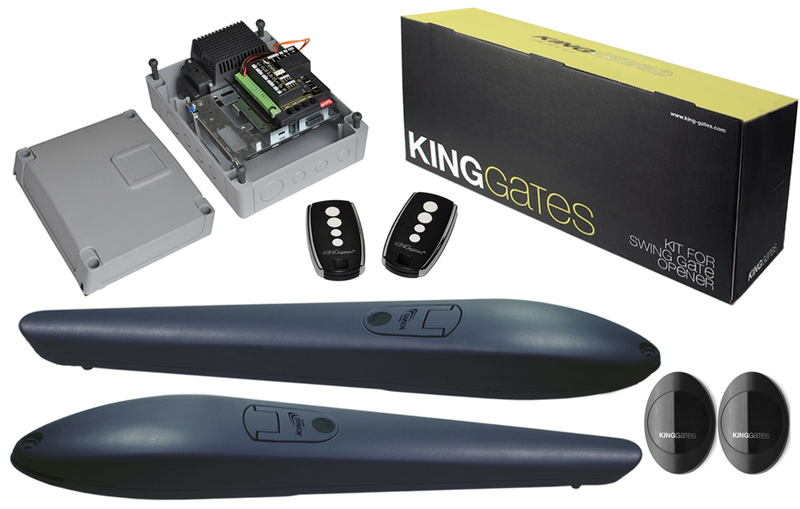 Please be aware that when choosing your automation you will need to take in to consideration wind factor, if your gate is close boarded this can dramatically affect how easily the gate swings on a windy day, so you will have to opt for a kit with a high weight capacity.